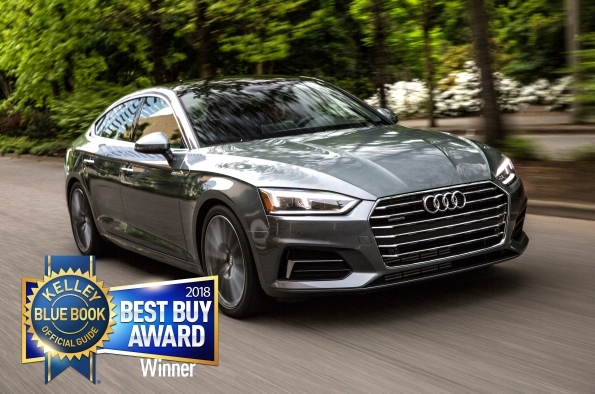 This year, the 2018 Audi A5 Sportback took the honors for Best Buy among luxury cars. The third annual Kelley Blue Book Best Auto Tech Awards honor models with the most advanced infotainment, convenience and active driver assistance features at a great value to car buyers. KBB.com editors praised the A5 Sportback for its sleek styling, overall utility and slightly roomier feel on the interior. “Audi is committed to producing vehicles that offer industry-leading technologies, refined design and efficient, yet powerful performance, and that provide an overall excellent value to our customers.” said Scott Keogh, president, Audi of America.